Hula Hooping Mom: Do' it up for Dad this Father's Day! Do' it up for Dad this Father's Day! 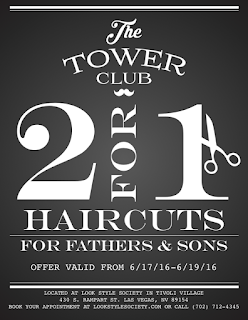 Perfect gearing up to Father's Day, today through Sunday,The Tower Club inside of LOOK Style Society at Tivoli Village will be offering 2 for 1 haircuts; a Father’s Day special, exclusively for fathers and sons. The Tower Club inside of LOOK Style Society at Tivoli Village is the ultimate grooming haven for men. 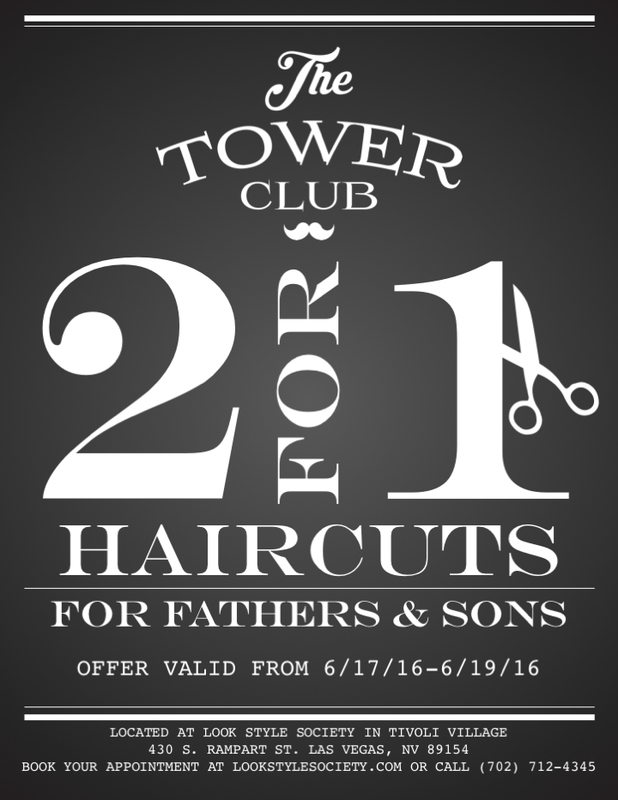 The Tower Club offers everything dad needs: hair cutting services, gray hair blending options, shaves, foot and hand detailing. He can even catch the game in the lounge while enjoying a drink. Life can be chaotic, so to make things easier, monthly and yearly packages are available. You can decide which membership might work best for dad’s schedule. Complimentary Valet Service is also available to guests at Tivoli Village.